The Institute is primarily concerned with horses that are presumed to derive entirely from asil stock of the historic Bedouin horse-breeding tribes of Arabia Deserta. For this award, horses registered with AHA or CAHR that are marked on DataSource (an on-line service of the Arabian Horse Association) as “The Pyramid Society: Straight Egyptian” or “Al Khamsa, Inc” or that meet the pedigree criteria to be so-marked are eligible. Questions about eligibility should be referred to the Award Secretary, whose determination is final. 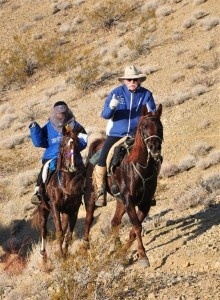 The program is open without cost to owners, riders, and drivers of Desert Arabian horses. Participation in the program is not based on any qualifying level of financial support for The Institute for the Desert Arabian Horse. To enroll, complete the enrollment form and mail it to the Award Secretary as noted on the form. 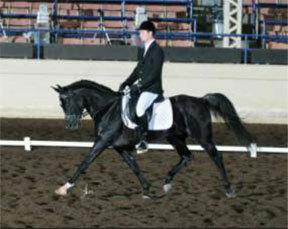 The program depends solely on the generosity of owners, riders, breeders and other enthusiasts of the Desert Arabian. Contributions are solicited annually by The Institute for the Desert Arabian Horse. What Categories of Performance are Included? Performance disciplines including English, Dressage, Driving, Eventing, Hunter (Pleasure and Working), Western (Pleasure and Working), Competitive Trail, Endurance, and Sport Horse Under Saddle are recognized. A detailed list of eligible show-sponsoring organizations and classes is shown below. Contact the Award Secretary for questions regarding class eligibility or to make recommendations for additions or corrections. What Points are Eligible for Recognition? All points must be earned at an approved show of a recognized organization (see list below) in North America. Shows that operate under separate approval count as separate shows. Points are awarded to the horse, so different riders/drivers may show with the same horse during the year. Points are tabulated from January 1 ­ December 31 of a given year. All points earned for the current year to be applied to the Drinkers of the Wind Award must be submitted to the Award Secretary within 30 days after each eligible competition, with final submissions by January 15 of the following year. Carry-over points are not allowed. The owner/rider/driver of any given horse holds sole responsibility for the submission of entries, including any modification in points originally submitted before the closing date of January 15, along with such documentation as may be requested by the Award Secretary. Late entries are not accepted. Results of the Drinkers of the Wind Awards are published on the website of The Institute for the Desert Arabian Horse and may be published in any of the Institute’s occasional publications. * This list may be amended to include organizations that initiate Class A-level competitions. All points earned in Competitive Trail, Endurance Ride or Ride and Tie are recognized if the ride is sanctioned by a recognized governing organization (see list above). Rides identified as AHA Regional Championship or Canadian National Championship rides carry the same number of points as any other AHA Regional or Canadian National Championship class. Rides sanctioned by other recognized organizations and deemed as National Championships carry the same points as a National Championship Class. What Point System is Used? One point for every five miles for any completion at 25 miles or longer. Additional points for placing using the multiplier factor of AERC (1st – 2.0, 2nd – 1.5, 3rd – 1.2, 4th – 1.0, 5th – 0.8, 6th – 0.6, 7th – 0.4, 8th – 0.3, 9th – 0.2, 10th – 0.1). A Best Condition Award is considered the equivalent of “Champion” or 1st place and points will be awarded in addition to any awards for placing. Training level will receive points as for regular shows. For higher levels, points will be multiplied, according to level (First level plus 25%; Second level plus 65%, Third level plus 100%, Fourth level plus 125%, Grand Prix and higher plus 200%). Points will be given for completion (2-day 5 points; 3-day 8 points) Additional points for placing are 1st = 20 points, 2nd = 15 points, 3rd = 12 points, 4th = 9 points, 5th = 7 points, 6th = 5 points. Is There Any Recognition for Participating in Local or Unrated Shows? Yes. The Institute wants to recognize all owners, riders, and drivers who make the effort to present their Desert Arabians in competition. 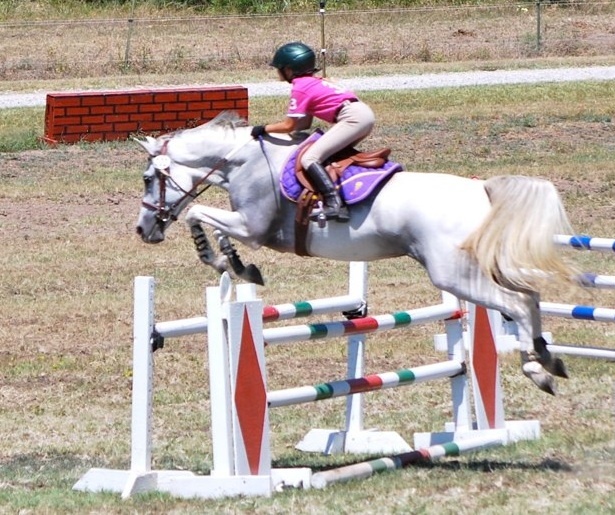 This includes local unrated shows, youth events (Pony Club, 4-H), entry-level distance rides, etc. Complete the enrollment form and send it to the Award Secretary. After each competition, fill out an event form; be sure to check the “OTHER” under Governing Organization and list the sponsoring organization. Separate awards will be given to recognize those who participate in such shows (see below). All participants will receive a certificate after completing their first competition of the year and submitting an Event Report form. High Point Awards are awarded to the Top Five horses earning the greatest number of points as calculated using the point system described above. Award determinations are made within 60 days following the end of the competition year. Determination of Awards shall be by The Institute of the Desert Arabian Horse, which decisions are final. A Perpetual Trophy (1st Prize), plaque, certificate, ribbons, and/or cash prizes are awarded as announced for each year of competition. In the event cash prizes are announced, the prizes may vary from year to year depending upon the funds available from sponsorships and/or other donations. The Perpetual Trophy is retained by the winner for the succeeding year and returned to the Institute for awarding to the next year’s recipient. Separate awards (ribbons, certificates) are awarded for those competing in unrated shows. Drinkers of the Wind Awards are featured on the website of The Institute for the Desert Arabian Horse and in the Institute’s occasional publications, as well as in industry-wide press-releases. Owners who enroll their horses agree to allow photographs and information about participants and award winners to be used on the Institute’s web site and in related publicity.